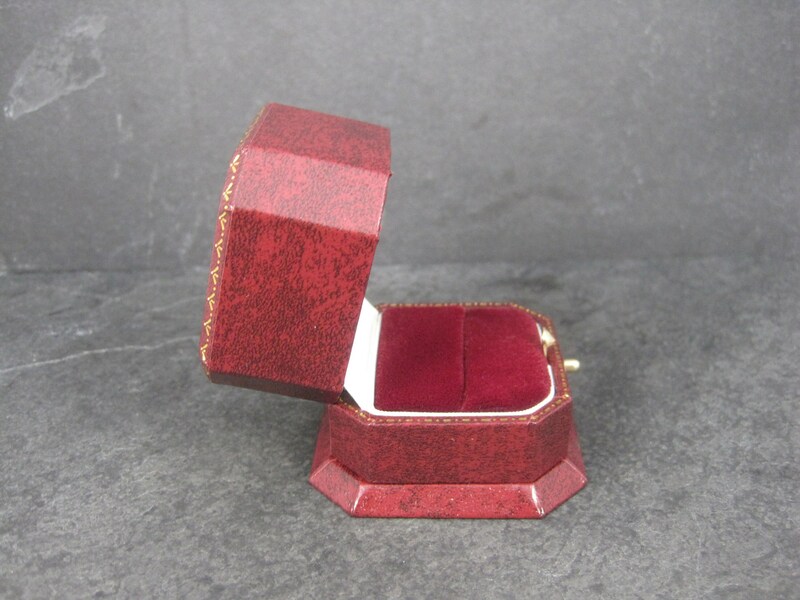 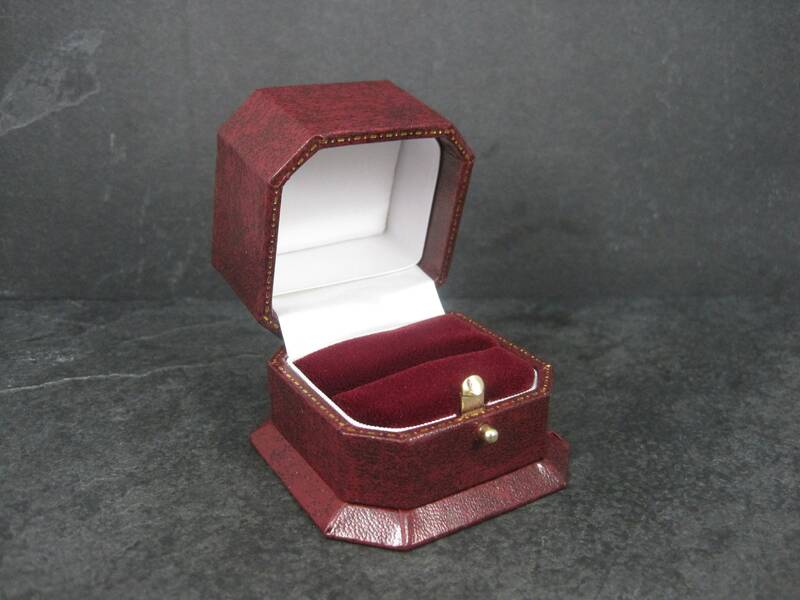 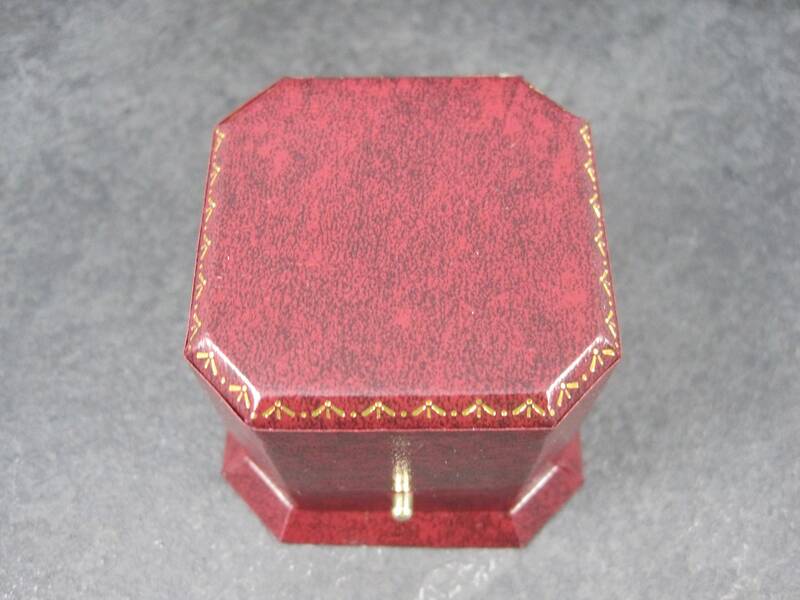 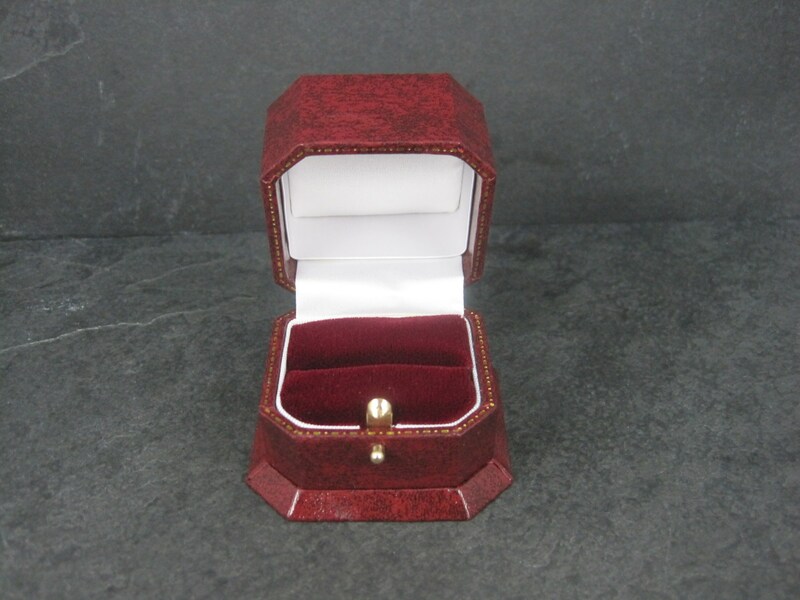 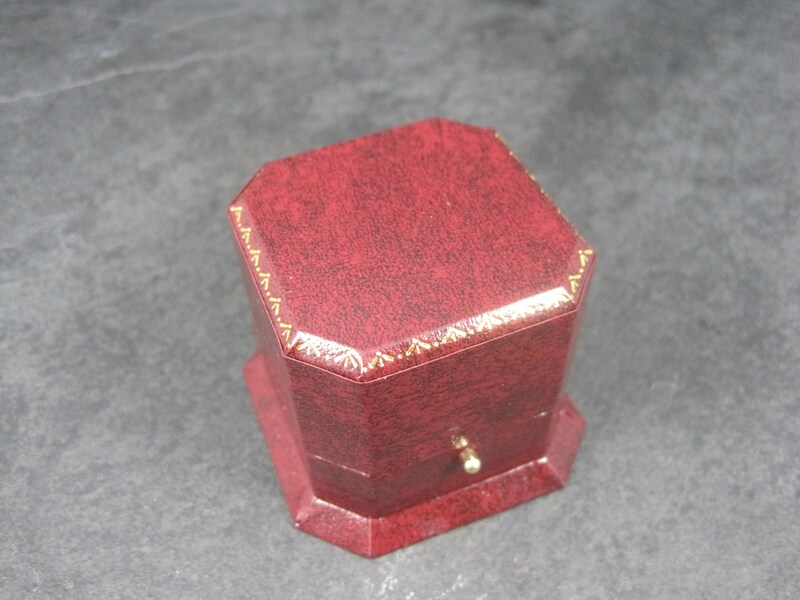 These ring boxes are bound in leatherette, with delicate gold tooling on the lid and a gold push button closure. 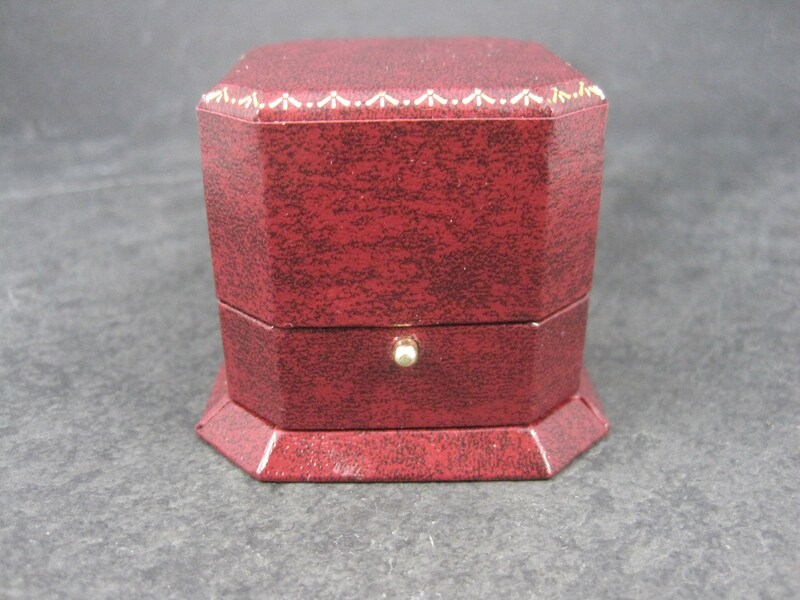 Lined in plush velvet with satin inner lids, these are beautiful antique-style jewelry boxes. 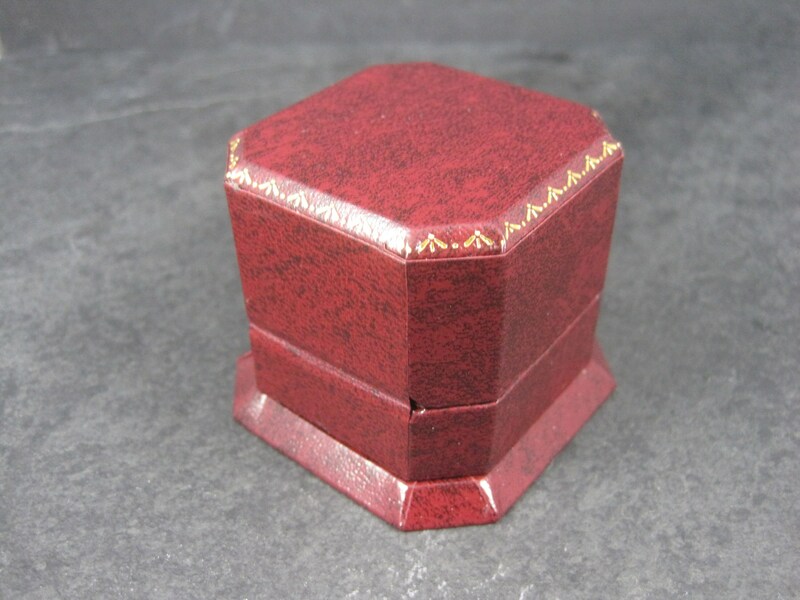 Measurements: 2 x 2 x 1 3/4"